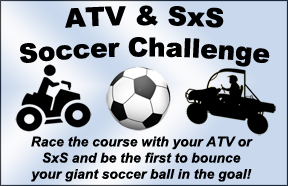 with ATV & SxS FUN! The Pines 2019 is open! an amazing time. We can't wait to go back!" "We had a blast! Can't wait till July!" 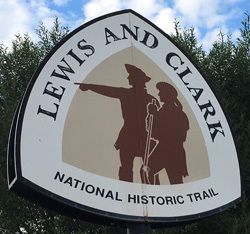 Come to the heart of Idaho and ride the trails that Lewis & Clark followed to stunning mountain lakes, streams and mountain vistas. Overlook the Salmon River Gorge and visit the historic ghost town of Leesburg on the Friday history ride. A gold mining town started by confederate soldiers who fled the southern ranks during the Civil War. They named the town for General Lee. You can ride into the history of the Old West on our Adventure History Ride! And hunt the elusive Bigfoot on the "Hunting For Bigfoot" Fun Run, that will take you high into the mountains on a skilled scenic loop trail. If and when you find Bigfoot you will be eligible to win many different prizes! 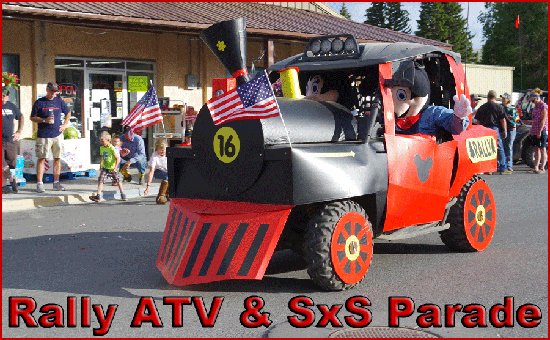 Then add to the fun by entering the ATV/SXS parade and join the GPS Discovery Ride. You can win prizes and trophies in the Rally In The Pines Show and Shine Contest, the ATV & SxS Soccer Challenge and the Beach Ball Bash. And don't miss the Haunted Indoor Obstacle Course! 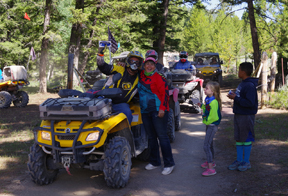 Rally In The Pines offers group rides for ATV's and Side X Sides with knowledgeable ride leaders. We also offer Self Guided Rides with maps complete with GPS coordinates and photos! So, join the activity rides, the historic rides and lot's lot's more! All along the beautiful Salmon River, on the shores of 4 majestic mountain lakes and in the deep pine forest that surrounds Salmon, Idaho. Brought to you by: BAM Film Productions/ Rally In The Pines LLC. Call 208-241-8596 for more info. to Rally In The Pines! The Parade Is Back For 2019! 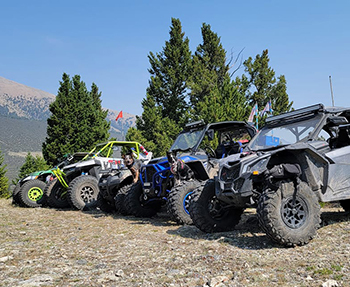 24 ATV & SxS Rides with a Ride Leader and Self-Guided Rides to choose from! No, we don't bash ATV's! But it's FUN! The Hunt For Bigfoot Fun Run! Our Great Activity Sponsors For 2019! BAM Film Productions/Rally In The Pines is proud to partner with the Salmon-Challis National Forest. 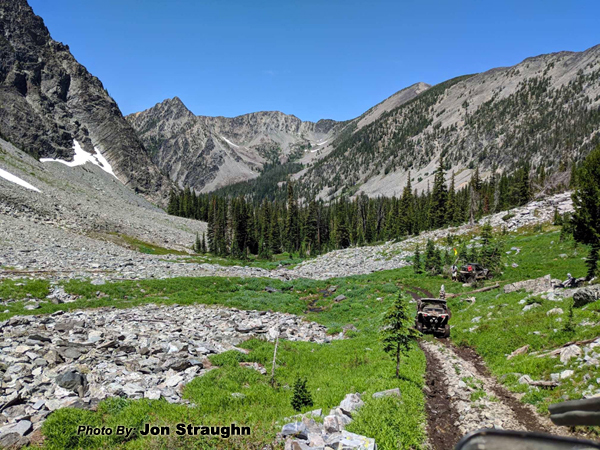 Event held under a special use permit with the Salmon-Challis National Forest, the BLM and the Idaho Department Of Transportation. Copyright 2009 - 2019 Rally In The Pines LLC is owned & operated by: BAM Film Productions.